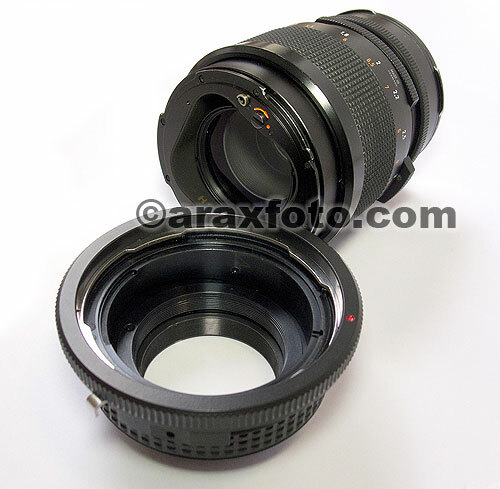 Allows you use any Hasselblad lenses (excluding H-series) on your 35mm camera including fulll-frame DSLR. Moreover, it gives the 8 degree tilting possibility of lens and 360 degree rotation. 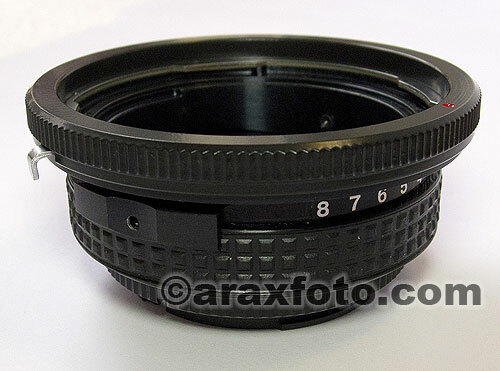 The lens which you can use with this adapter should have Hasselblad mount. If you not tilt the adapter, it works as regular adapter ring. This tilt adapter is a great addition for your gear. 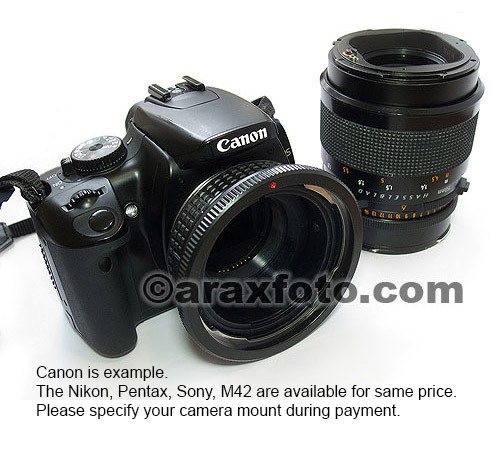 It is the cheapest way to "have" tilt lenses for professional use on your digital and classic camera bodyes. 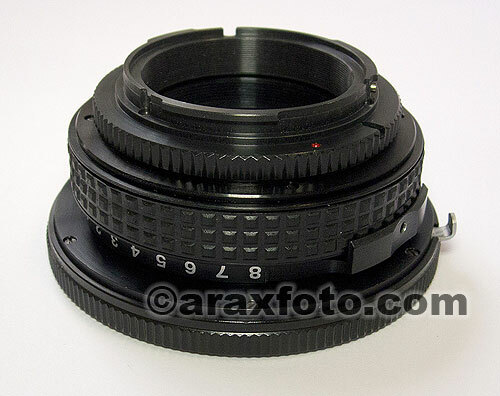 Tilt adapter with Hasselblad Carl Zeiss Sonnar 4/150 lens.